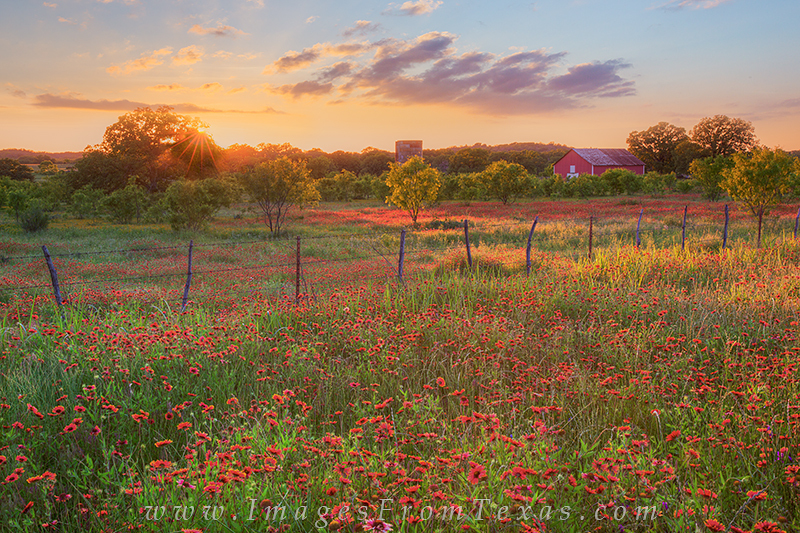 The last sunlight of day streams across a lonely field of Texas wildflowers - this time red firewheels. On a stretch of dirt road north of Llano in the Hill Country, scenes like this were everywhere in May. The hard part was picking a location for the moment of sunset. This photograph also appears on the cover of the 2017 Texas Highways Magazine Calendar. Photo © copyright by Rob Greebon.